The word Vedānta is the combination of two separate Sanskrit words “Veda” and “anta”. Veda means Knowledge and anta means end. Knowledge, as it is described in ancient Indian scriptures, can be categorized into two types based on its nature. The one which helps us to live in the world as a healthy-wealthy-learned person, is traditionally written as “knowledge” and is known as, in Sanskrit, ‘Aparā Vidyā’, secular knowledge. The other one which gives us access to the eternal happiness is expressed as “Knowledge” and, is according to Vedānta terminology, ‘Parā Vidyā’, Spiritual Knowledge. At the end (anta) of this Knowledge (Veda) one, by attaining God (Brahman), becomes nothing but God. Vedānta and Upanishad are synonymous. The word ‘upanishad’ is derived from the prefixes upa (near) and ni (perfectly), joined to the verbal root sad (to shatter, attain, or destroy), and means the knowledge of Reality, expounded in books of that name. In the words of Swami Vivekananda, “This infinite power of the Spirit brought to bear upon matter evolves material development, made to act upon thought evolves intellectuality, and made to act upon itself makes of man a god.” We must struggle patiently and perseveringly. The well-being of the modem world depends on a proper understanding of the Vedāntic teachings and on their sincere application to the practical problems (Practical Vedānta) of our daily life. Thus only can materiality be conquered. Let love, instead of hate, be our guiding principle. 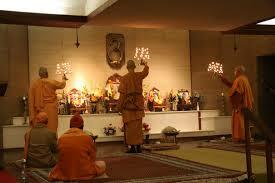 Even age-long darkness, as Sri Ramakrishna used to say, disappears as soon as a light is brought in. It behooves us, as true followers of Vedānta, to assert our birthright and, armed with the strength of Vedānta, make a determined effort to establish the reign of peace and harmony on earth. The Vivekananda Vedanta Society is a branch of the Ramakrishna Order whose motto is For one’s own liberation and for the welfare of the world. 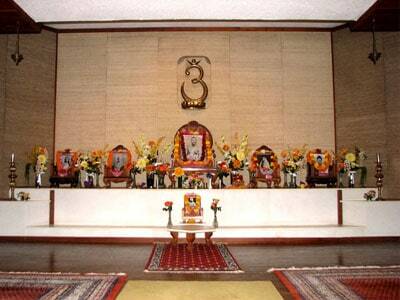 Apart from the main center at Homer Glen, we also have a sub-center — the Vivekananda Retreat at Ganges, MI. The historical roots of the Vivekananda Vedanta Society of Chicago can be traced back to Swami Vivekananda’s visit to Chicago in the July 1893 to attend the World’s Parliament of Religions which was the very first attempt to create a global dialogue of faiths.